When it comes to luxuries in ski hotels nothing quite beats being able to walk out of the ski locker room, click on your skis and push off down the slopes. Scout has selected the cream of the ski-in ski-out crop in North America to bring you the best, the most luxurious, the undeniably spoil-yourself-rotten-by-staying-here slopeside hotels. While there are many great slopeside hotels we love beyond this list, we kept it to the top 11 (10 in USA and 1 in Canada). 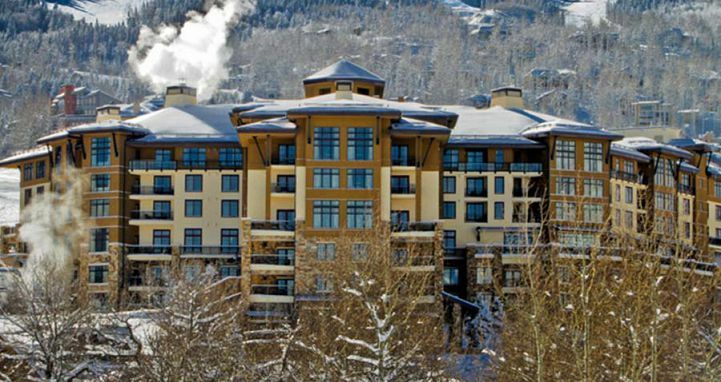 Combining elegance, sophistication and the height of luxury The Little Nell is an Aspen institution as well as being a rarity - along with the Little Nell Residences it is the only true ski-in ski-out hotel in the town of Aspen. Every detail is perfect, from the fresh flowers in your opulent bathrooms to the doormen who greet you by name. 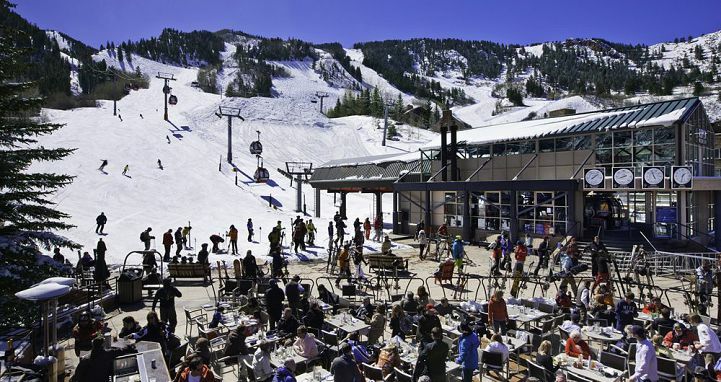 All just a stone's throw from the slopes and The Little Nell's Ajax Tavern (an Aspen apres institution) - whose truffle fries will easily sidetrack you on the way home. 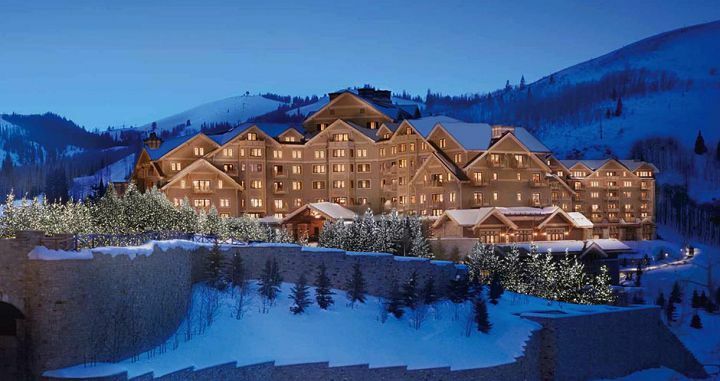 St Regis Deer Valley sets the bar for quality precariously high – 7452 feet above sea level, to be exact. 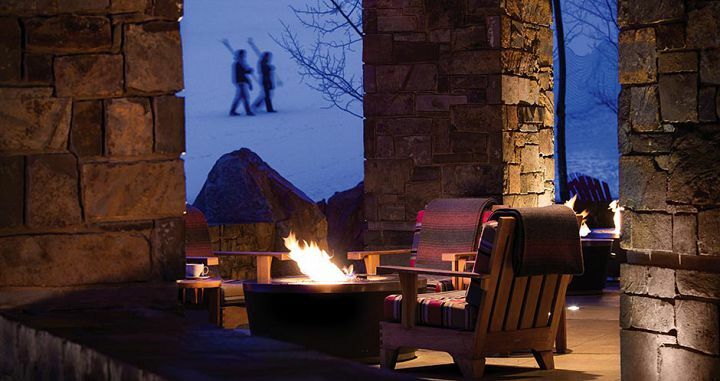 Eminently luxurious, this hotel will fulfill your desire for a decadent ski getaway. Accessed by its own funicular train from the Deer Valley base area, hotel guests enjoy an enviable ski-in ski-out position (albiet a little away from the main part of the mountain) and a serious ski valet system meaning that the only time you'll ever have to touch your skis is when you fall over. 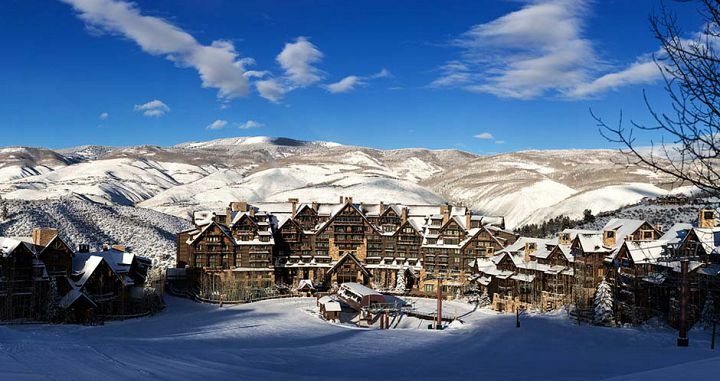 Nestled on its own mountain at Beaver Creek ski resort, Ritz-Carlton Bachelor Gulch has that element of being away from it all. Yet skiers are never far from the action with some of Colorado's most beautifully groomed slopes spreading out from right outside its doorstep. As you could imagine The Ritz-Carlton does everything exquisitely from the complimentary hot chocolate or bubbly at the Ski Valet every afternoon to the sumptiously appointed rooms - a vacation here will certainly be a true vacation. 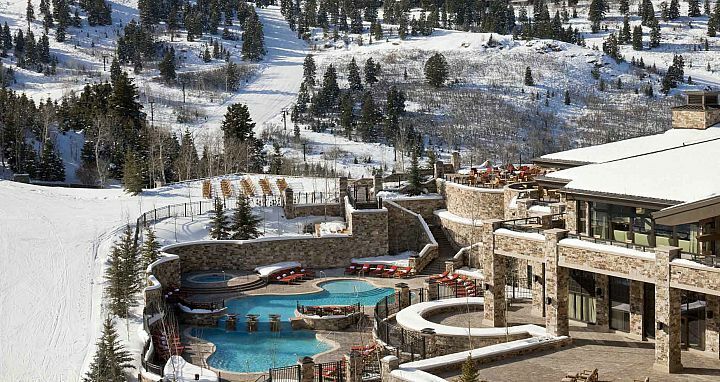 This enormous hotel, which is tucked far up into the Deer Valley ski resort, does everything on a grand scale. Montage Deer Valley has possibly the world's most sophisticated valet system. Each year over 30 ski valets undergo 16 hours of training just to learn how to buckle up and take off ski boots. Each day you are checked in with an iPad and your desginated valet will slip on your warm boots before clicking you in to your skis just outside the door (where the skis are already waiting, facing downhill). Upholding the high quality standard you’ve come to expect from this premium brand, the Four Seasons Jackson Hole is welcoming, beautifully designed and luxuriously appointed. Like everything else in Jackson Hole, the service is genuinely warm and western in style - the valets even wear cowboy hats. Best of all it enjoys prime position in the village, is just steps from the gondola, a few turns from the tram and has an awesome slopeside bar. 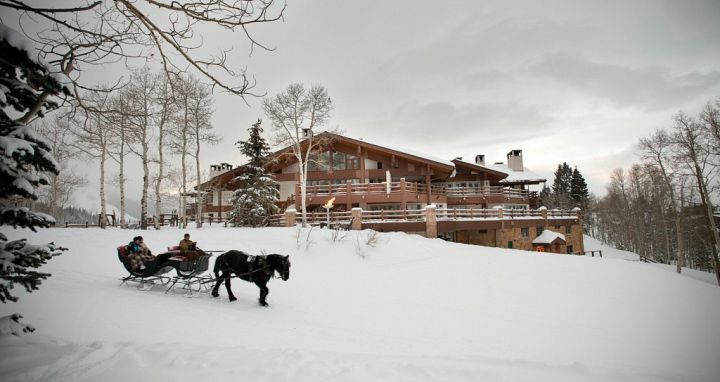 Founded by Norwegian Olympic gold medalist Stein Eriksen, this lodge is sophisticated and elaborate. Loved by the many loyal guests who return year-in-year-out, Stein Eriksen Lodge has come to represent everything that’s great about Deer Valley when it comes to service and luxury. Scout particularly loves the European heritage and influence and stunning mountain views from many rooms. A full valet service will ensure the few steps you take to get on the slopes are quick and easy. 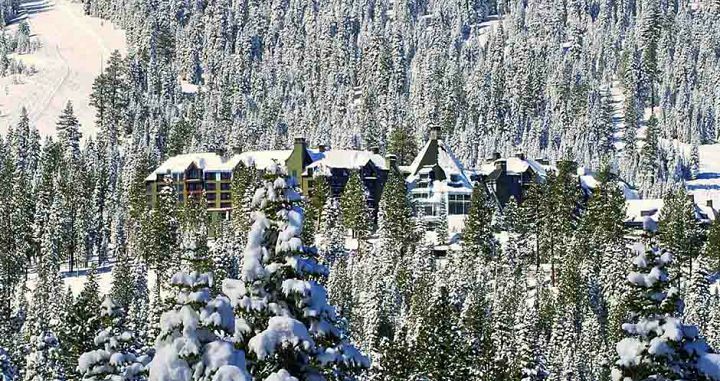 Unlike many other ski resorts in North America which have an abundance of expensive, high-end brand name hotels, the entire Lake Tahoe area has just one – The Ritz-Carlton – located high up on the mountain at Northstar. 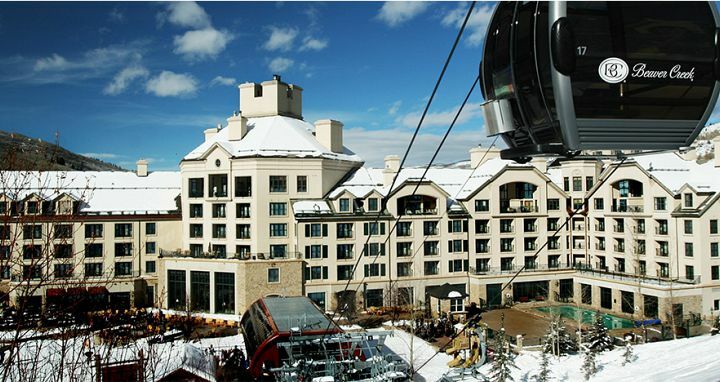 Nestled in the woods and on the side of ski runs, the hotel is connected to the main Northstar village by a gondola which runs in the evening for dinner trips (or you can jump in one of the hotel's Cadiallac Escalades). Its interior is stunning, featuring an abundance of wood and stone. Viceroy in Snowmass is contemporary luxury combined with incredible ski-in ski-out access, thanks to its location right on Assay Hill in Snowmass. No expense has been spared on stunning, modern furnishings and the rooms are generously proportioned (each with its own kitchenette). And if skiing in to and out of the hotel's back door isn't enough there's even a ski-in ski-out microbrewery called Nest, which serves moer than 50 diffferent Colorado microbrews. 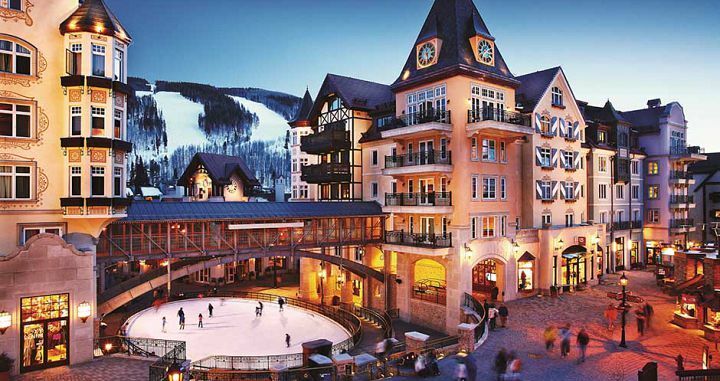 One of Vail’s most famous hotels, the full–service and luxurious Arrabelle at Vail Square has an enchanting and grand European feel to it. The Arrabelle is located right at the Lionshead Gondola, which is also home to one of Vail's two ski-school bases. It's perfect for those seeking a romantic escape, or families seeking fun and convenience. 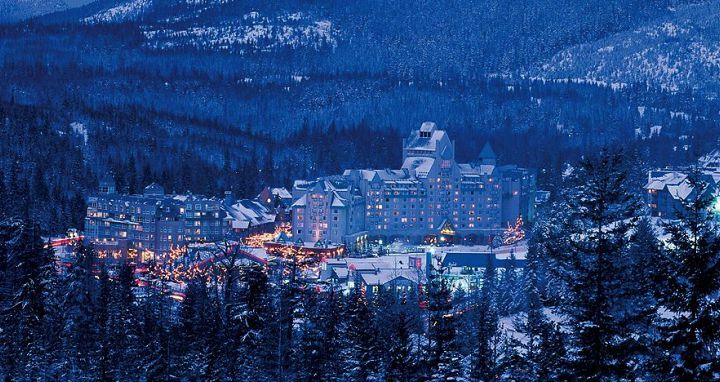 A long time Whistler favorite, the Fairmont Chateau is feeling fresh and revived following a recent remodel. Originally built in 1988 it enjoys one of the best positions in Blackcomb, right by the slopes and ski school meeting point as well as a short walk from Whistler Village. With 550 rooms it is huge, but the facilities are excellent making this a true 5 star hotel.